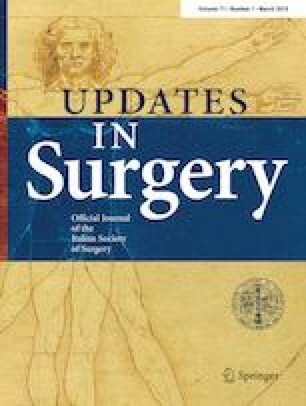 Updates in Surgery is now entering its ninth year of publication. We are proud to inform our readers that the Journal has been accepted by Clarivate Analytics for coverage in Science Citation Index Expanded, Current Contents/Clinical Medicine and Journal Citation Report and it will get its first Impact Factor this year. Having an Impact Factor is a great achievement for the Italian Society of Surgeons (SIC), and for the Italian surgical community who worked hard at the journal over the last few years. We fulfilled the promises we made to our readers four years ago that were published in the 2015 Editorial . The Editorial Board has been renewed and more outstanding surgeons are now actively contributing to the development of Updates. We introduced the publication of monothematic issues aiming at offering to our readers an in-depth discussion of cutting edge topics. This allowed us to invite excellent authors in different surgical fields to deliver high-quality papers to the scientific community. Moreover, to reduce the peer review times, we invited new reviewers to join the referees’ panel. This helped us to offer an improved reviewing process and we expect to further reduce the time from submission to first decision in the next future. We would like to sincerely thank all the colleagues and friends who trusted Updates in Surgery during these years by submitting their papers and by revising our manuscripts. A special thanks to foreign authors who shared their experience with us and chose our journal for publishing their research and to our Associate Editors for their invaluable contribution to the journal, crucial for achieving our most ambitious targets. During these years, we continued the work of the previous Editor-in-Chief of Updates, Lorenzo Capussotti, a friend and a milestone for the Italian surgeons. We are proud to host a very interesting article coming from his outstanding group of collaborators  in this issue. We are confident that Updates in Surgery will continue to grow and will represent a valid reference tool for all surgeons in Italy and abroad.